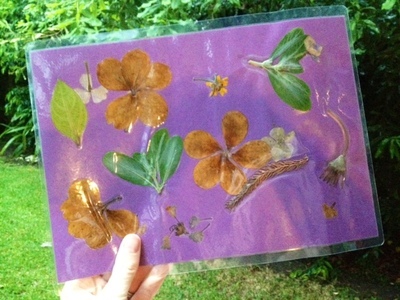 This is a fun project to make a pretty dried flower placemat. 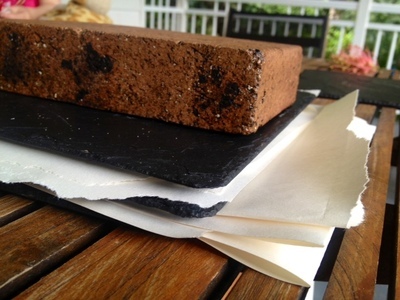 It could make an ideal Mother's Day present. 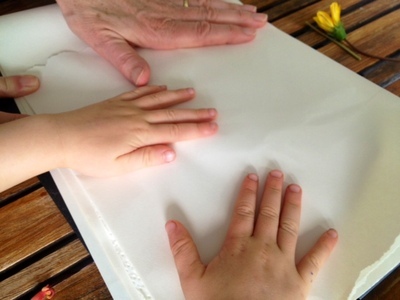 Older children will manage this easily on their own but younger children will need help from an adult with the lamination process. 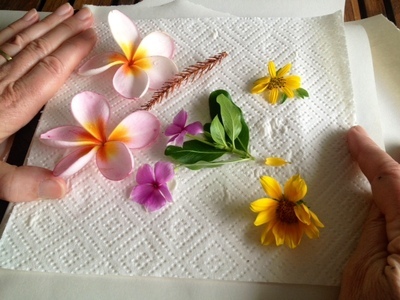 It takes a week or so to dry the flowers so you'll also need to plan in advance and be patient. 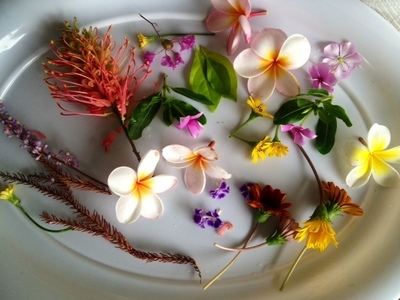 Pick some pretty flowers from the garden (ask an adult first which ones are okay to collect). 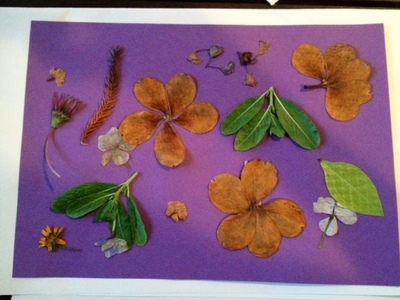 As colours may turn brown when the flowers are dried, look for interesting petal shapes. 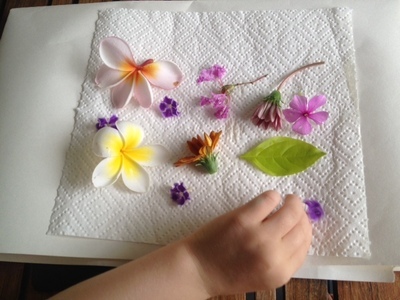 We discovered that fine flowers work better than ones with thick stems. 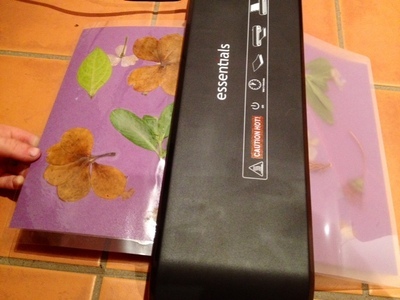 Your dried flower placemat is now ready to use. 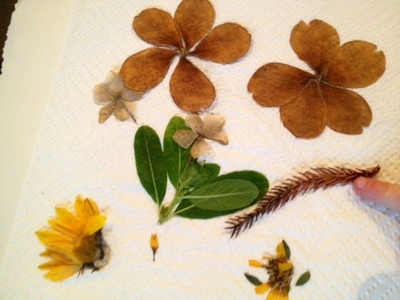 Please upload a picture your dried flower creation via the comments section - we'd love to see it!